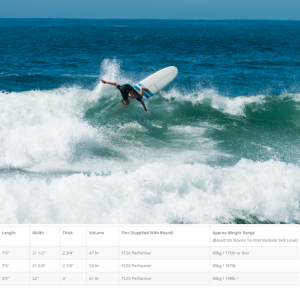 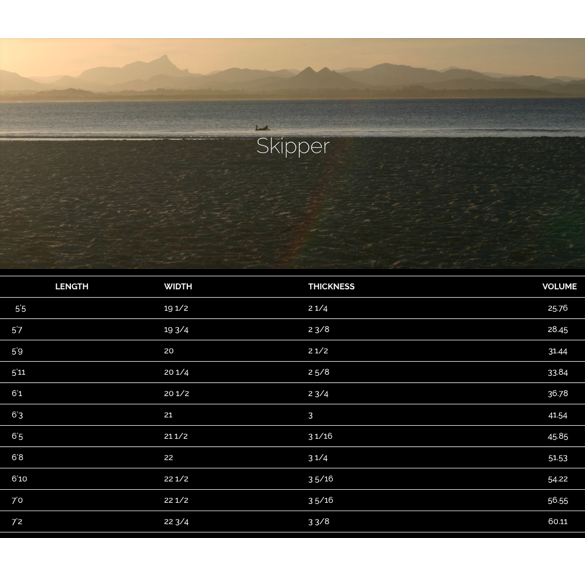 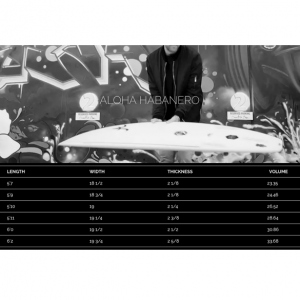 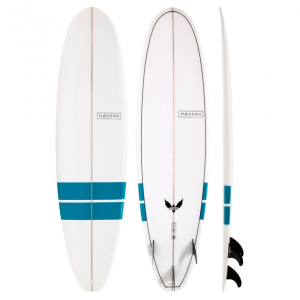 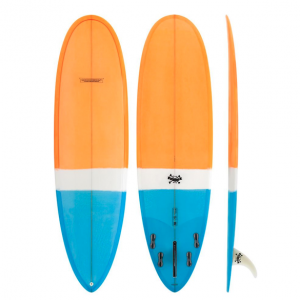 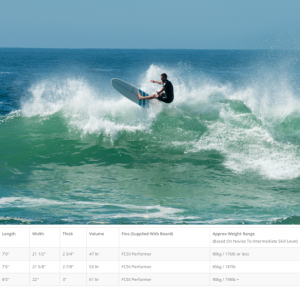 “The Skipper has a generous amount of volume under the chest allowing easy paddling and you will be able to ride this board shorter than your normal short board. 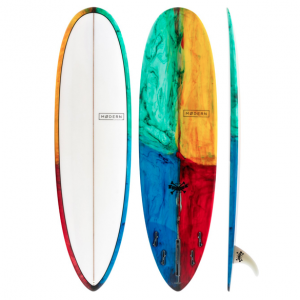 It is a wave catching machine designed for the everyday surfer riding everyday waves! 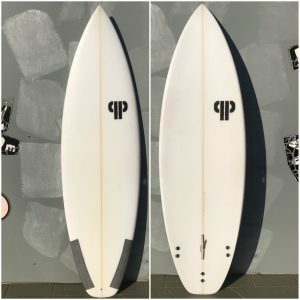 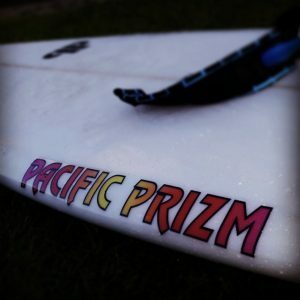 The pulled in round tail performs well in a wide variety of conditions, I prefer to ride as a thruster in beach break conditions and as a quad in more hollow or point break style setups.